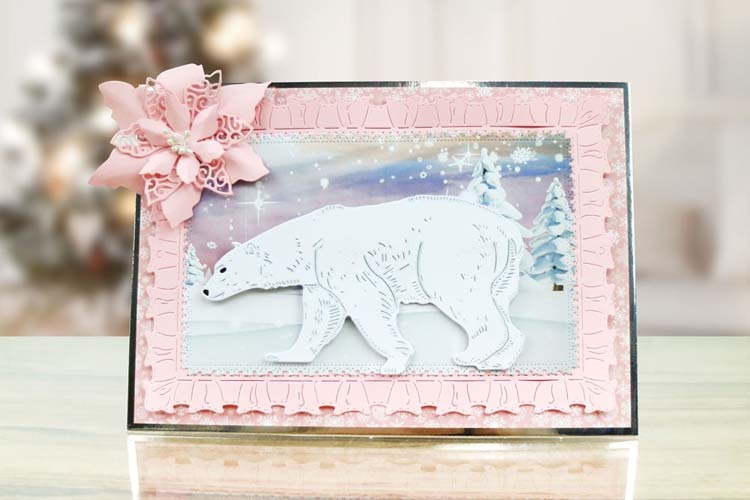 The Magnificent Polar Bear really is magnificent, making a statement to your cards and projects. 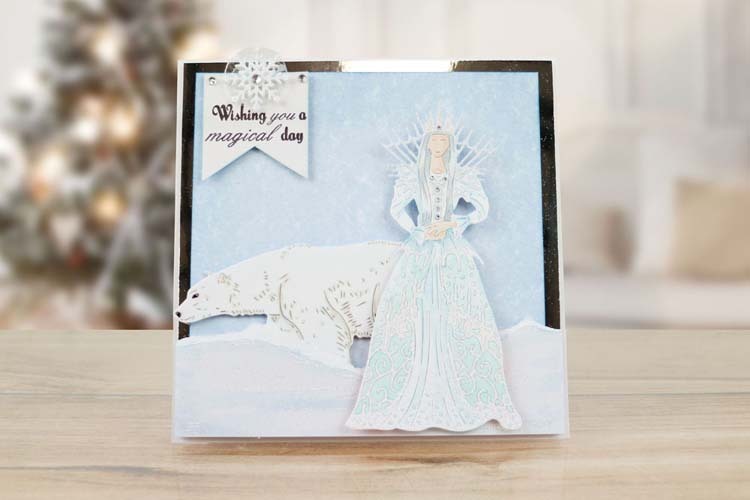 This die is a great size for a centre piece or can be mixed and matched with the other dies in the Fantasy die Collection, Perfect to use alongside the Queen of Snowflake die as Polar bears are typically guardians of the Queen in Fantasy films. 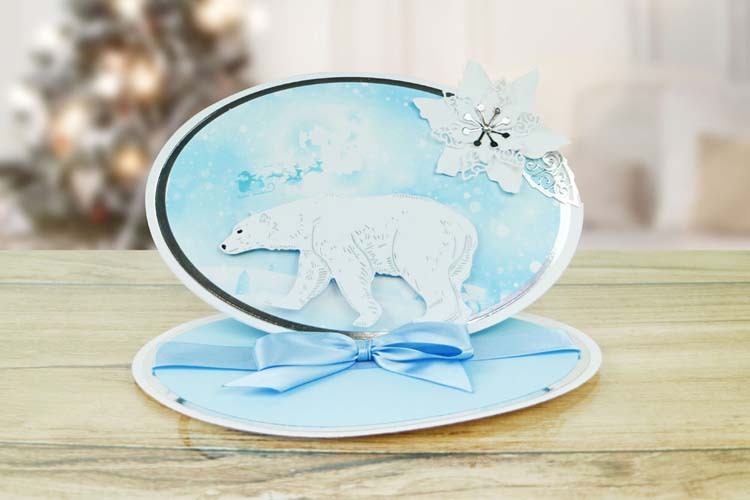 Embellish with frosted glitter for a wintery feel or to add a magical sparkle, dependent on your projects theme. 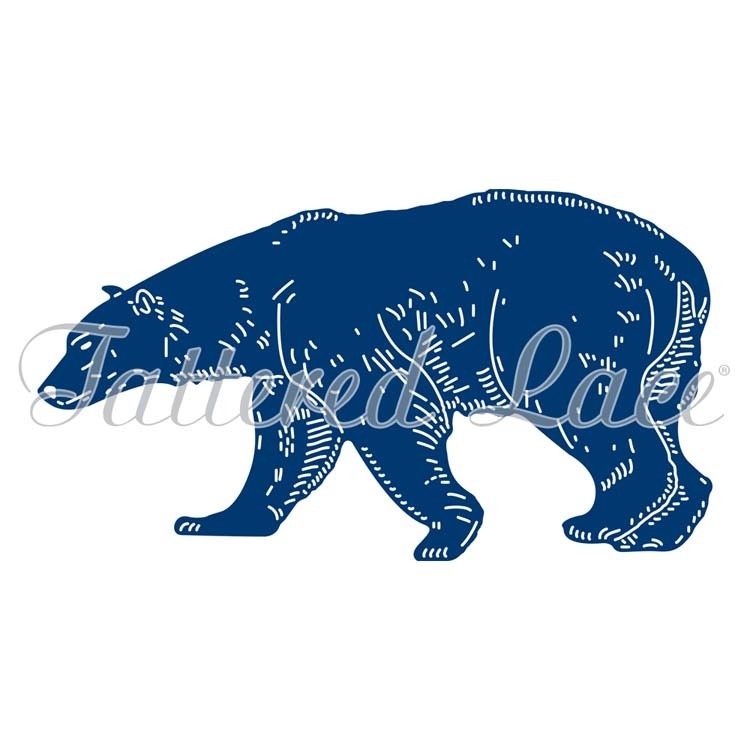 This die measures approx: 5.2" x 2.86"